When we moved to New York, making the unconscious choice of living in a matchbox, we found ourselves struggling with the space, especially when it came to the kitchen which was always an important part of our apartment. 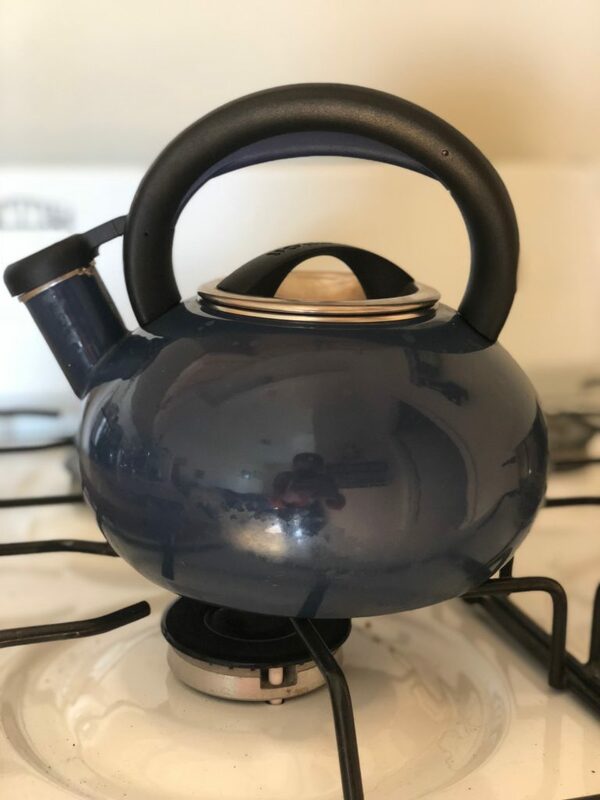 Having no room for an electric kettle, we bought an old fashioned whistling kettle without fully understanding how great this kettle will prove to be. Our kettle is very simple, but its simplicity is what makes it so powerful. This simple mechanism of whistling when the water is boiled is pure magic. It is amazing to see that even the new sophisticated kettles do not provide any indication for this so essential and basic purpose of this product. Its rounded shape gives it a unique look in the kitchen, a “vintage” look to some extent that, combined with its prominent color, makes it very noticeable and brings new feel to the entire apartment. I am often amazed by old and “outdated” products as in a lot of cases they actually function and feel much better than the new and sophisticated ones. My grandfather always use to say: “They don’t manufacture them [products] today as good as they used to when we were young”, a phrase that always makes me wonder if one day I will tell my grandkids the same, and if so, how much worst can it get?